I wish the current state of pop music could be as simple, beautiful and elegant as “Flatline” by Mutya Keisha Siobhan. This is one song that should and will go straight to the top of the charts with no desperate promo strategies, no back-stabbing and stan war dramas. Just put the music out there and it will speak for itself. I’ve been waiting years for this Mutya Keisha Siobhan single and “Flatline” couldn’t be a more perfect song to ring in MKS’s triumphant return to pop. This video mirrors the simplicity of their first debut album, before all the line-up changes (actually I didn’t mind Heidi, but she’s no Siobhan is she is? ), before the “we must go glam or go home” imagery and before the comparisons to Girls Aloud. 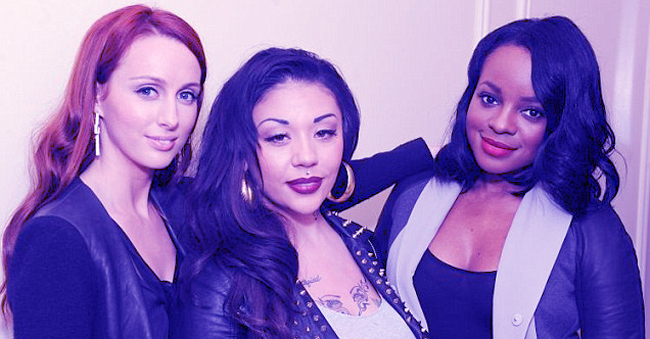 It’s just Mutya Keisha Siobhan taking it back, back to their roots.